Partnership between leading institutions will be absolutely crucial to innovation and success in tackling major issues in a changing world. A small number of critical factors affect the long-term success of collaborations: the depth of the alliance; shared aspirations and strategies; unified governance; and the deployment of shared talent. Recently, when India’s Human Resource Development Ministry sent out queries to the top 30 global universities inviting them to set up campuses in the country, the response was hardly enthusiastic, with many echoing the need for collaboration over a physical presence. In fact Professor Leszek Borysiewicz, vice-chancellor of Cambridge University, said that while it is “an interesting development which marks a growing trend towards transnational education, the varsity prefers collaboration over competition…”. This response seems to echo similar sentiments expressed by the Massachusetts Institute of Technology, while Yale and Stanford categorically declined the invite. Many foreign universities have some form of presence in India. The vast majority operate a very traditional model, involving small-scale partnership activities with local universities or companies or through local representative offices aimed particularly at student recruitment. How do partnerships with Indian institutions move beyond the perfunctory and small scale? A partnership that offers a clue to a successful arrangement is the joint Research Academy in Mumbai of the Indian Institute of Technology Bombay, or IITB, and Australia’s Monash University. Launched in 2010, the academy is a 50:50 arrangement, in a not-for-profit joint venture. It has a shared mandate and strategy that reports to an independent directorate and is aimed squarely at addressing the joint issues faced by the two nations, through a model that shares talent. The partnership is unique for at least four reasons: a unique focus on industry challenges; a highly multidisciplinary problem set; its physical scale; and its focus on postgraduate training and mobility… the goal being to create high impact global citizens. It actively tackles complex issues of major importance to the two nations where the partnership of the two universities’ capabilities is greater than the individual parts. Specifically, it physically combines the best researchers from both institutions and actively applies them to particular themes such as advanced computational engineering, infrastructure engineering, clean energy, water, nanotechnology and stem cell research. Unlike most traditional international collaborative models, the partnership has a large-scale joint physical presence that is primarily research-driven, with a major focus on PhD training. About 130 Indian PhD students are enrolled and jointly supervised by Monash and IITB staff. Students graduate with a joint degree from both institutions. Their students have already published 72 papers in top journals. Academy enrolment is set to grow to about 300 by 2015. Another reason why the partnership is unique is that the venture is fully oriented towards industry engagement. 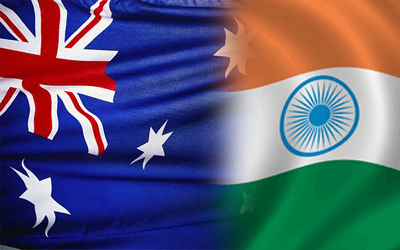 Researchers are expected to work on areas of interest to Indian and Australian companies. About 30% of research currently undertaken is industry sponsored. The figure is set to reach 70% in the near future. When students complete their PhDs, many are placed in jobs with industry partners. The academy already attracts funding from BHP Billiton, Orica Mining Services, Infosys, Reliance Industries, P&G, Intel, Tata Consultancy Services and Jindal Steel Works. As a final point of uniqueness, it also allows students and staff to be mobile between two nations. Four key success factors define this partnership. First, the bilateral relationship has been given the appropriate time to cultivate. The partnership began in 2005 when both institutions were actively looking for potential partners that were robust and deep enough to substantively tackle major research challenges. Second, both agreed on a shared aspiration. At the outset of the relationship, IITB and Monash agreed that their joint venture would be driven by four elements: producing industry-facing research; delivering impact on global issues based on mutual strength; conducting collaborative and multidisciplinary research; and attracting the best talent – students as well as academic and research staff. Third, they put in place an effective governance structure that would drive the relationship. The structure was critical in ensuring both institutions from top to bottom were fully engaged; that processes and academic procedures were aligned; and that they created a hybrid PhD programme that captured the best from two different systems. Finally, the best talent was deployed. From its inception, IITB and Monash targeted the best people at the top. For its research council, it secured Infosys co-founder NR Narayana Murthy as the chair. As vice-chair, it successfully attracted Dr RA Mashelkar, former director general of the Council of Scientific and Industrial Research. Murthy has taken serious interest and has attended 13 meetings out of a total of 16. The academy also appointed a highly regarded academic as CEO, Professor Mohan Krishnamoorthy, who was associate dean of engineering at Monash University. Over the next decade, we can expect major changes in India’s research and development sector. The Indian government is progressively reforming and scaling up public investments in science and technology. A changing R&D sector will invariably create new opportunities for foreign institutions. India’s young demographic profile, its huge talent pool, its expanding science base, its shared grand challenges and its growing attraction to foreign firms seeking to internationalise R&D offer new points of connection. And as Leszek Borysiewicz proffered, India is ready for partnership rather than rivalry. It is also ready for innovative models for engagement. * Dr Eugene Sebastian is director of global engagement and Professor Abid Khan is pro vice-chancellor of global engagement and pro vice-chancellor of industry engagement and commercialisation at Monash University in Australia. I have to say that for the past couple of hours i have been hooked by the amazing posts on this blog. Keep up the great work. I most usually dont post in blogs but your Blog made me, beautiful writing. just unbelievable! The content are different but your Blog and Check Free Credit Score Blog are both the best I have read to this day. Keep up the good work! !